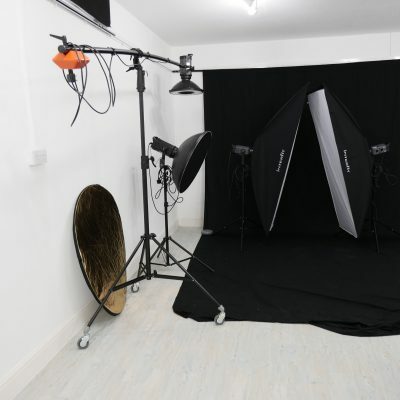 Looking for photography studio hire in Sussex? 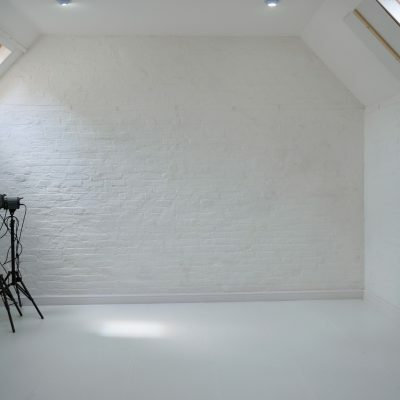 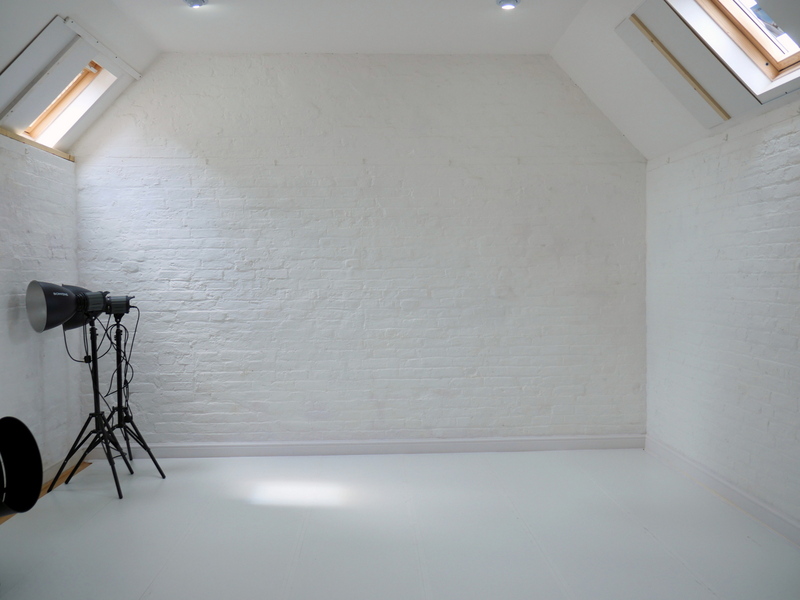 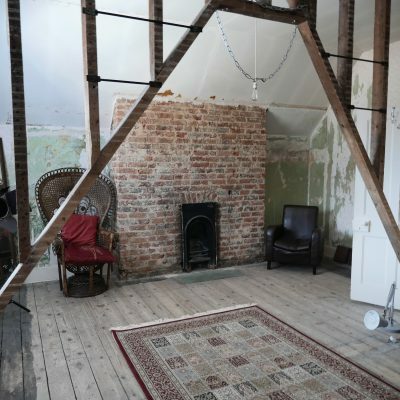 The Little Chelsea Gallery is delighted to offer a very unique and original photography studio for hire, Sussex. 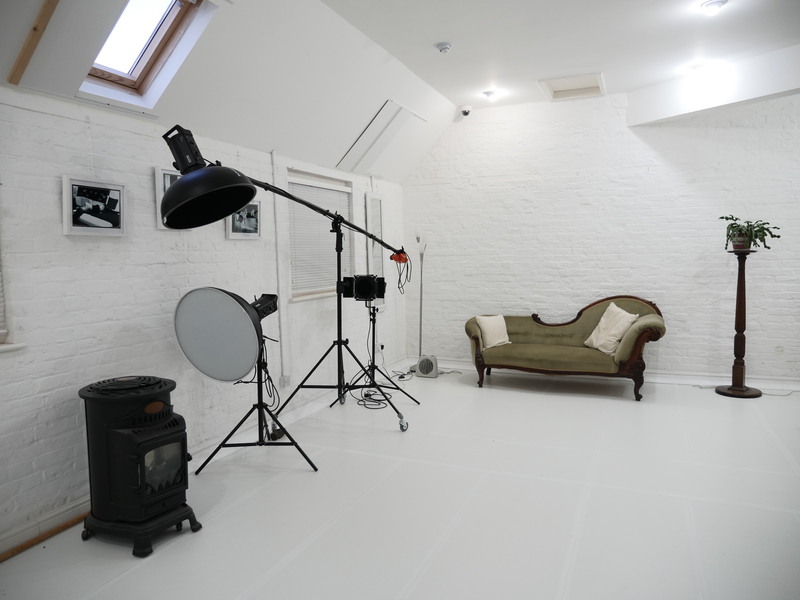 3 large studios on separate floors, each with their own lighting set up to include flash, constant and natural light. 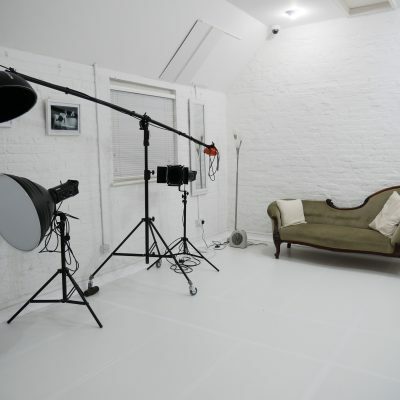 3 large studios over 3 separate floors, each with its own lighting set up, including flash, constant and natural lighting. 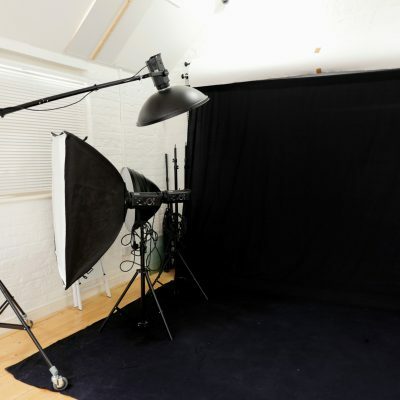 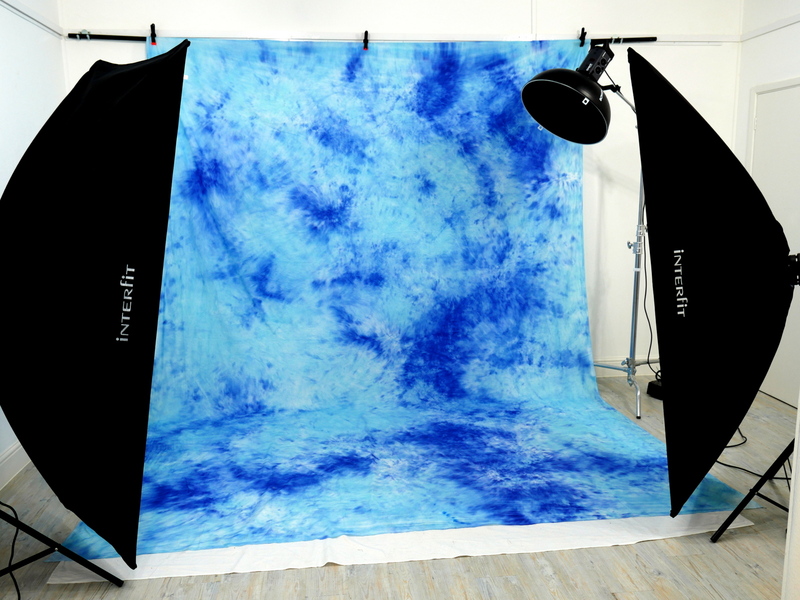 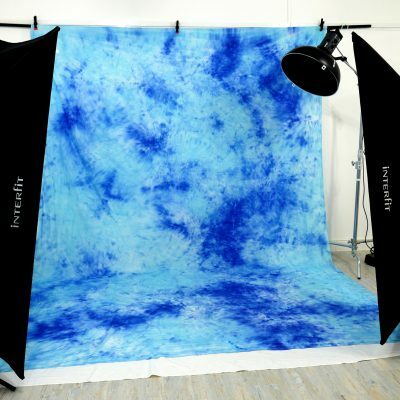 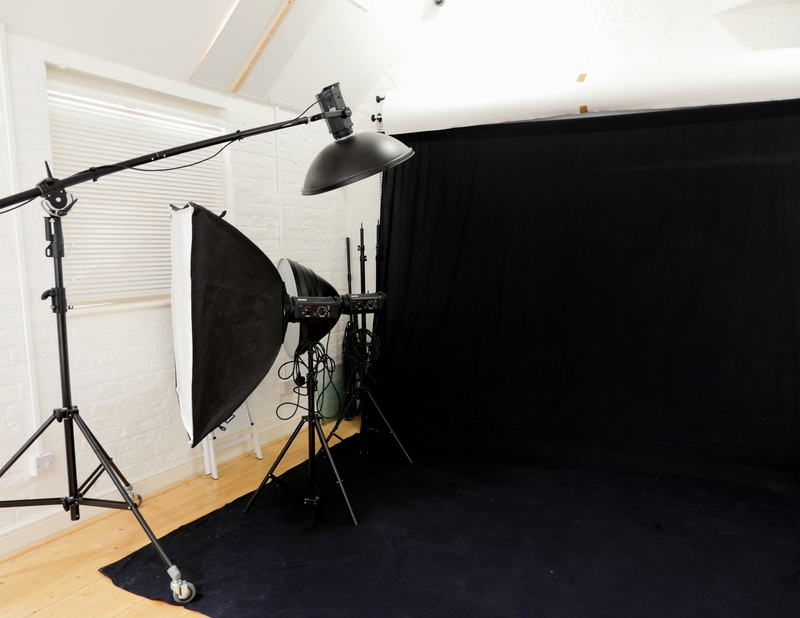 1st-floor traditional studio space using various coloured back drops; 2 full-length Bowens softboxes and a boom arm; selection of props and equipment. 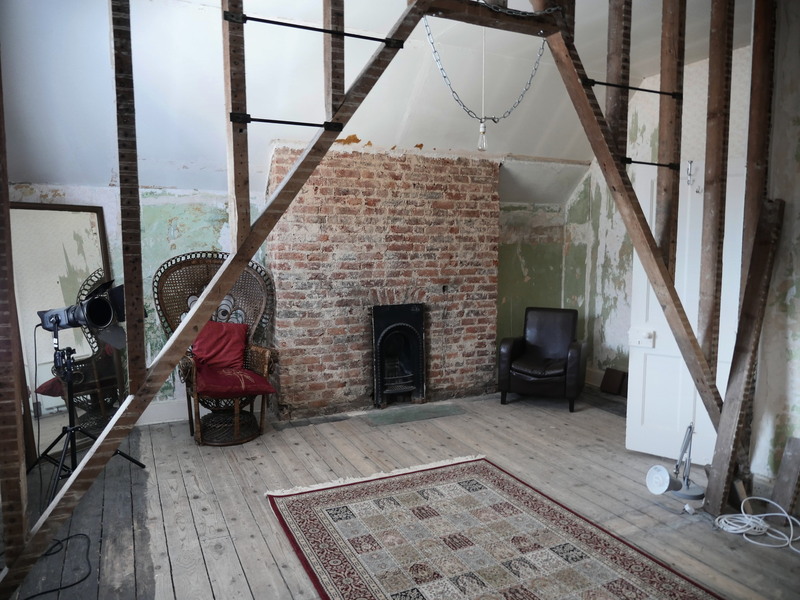 2nd-floor includes beautiful boudoir studio [ 4 poster french provencal bed and furniture ] and large white wall and floor for dance, movement. 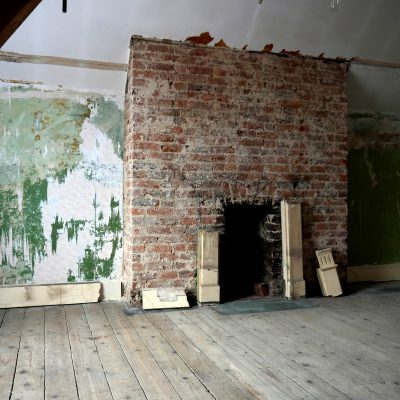 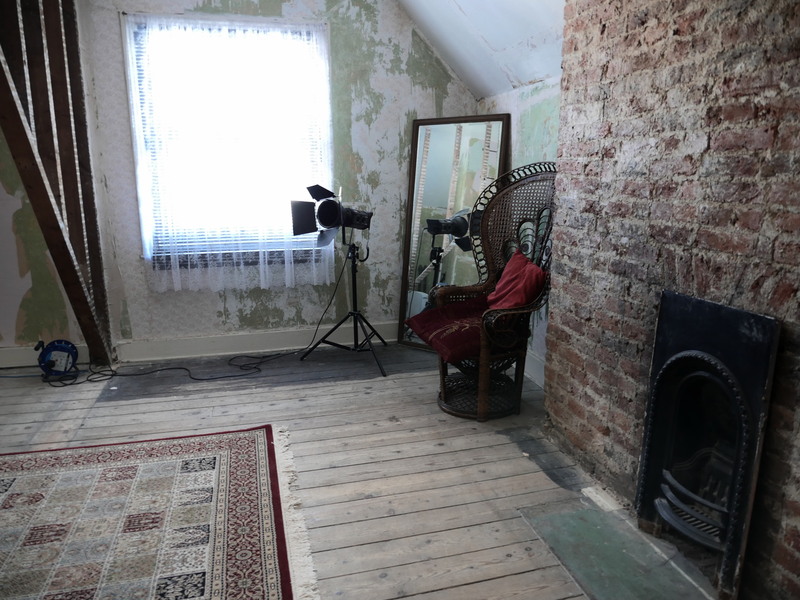 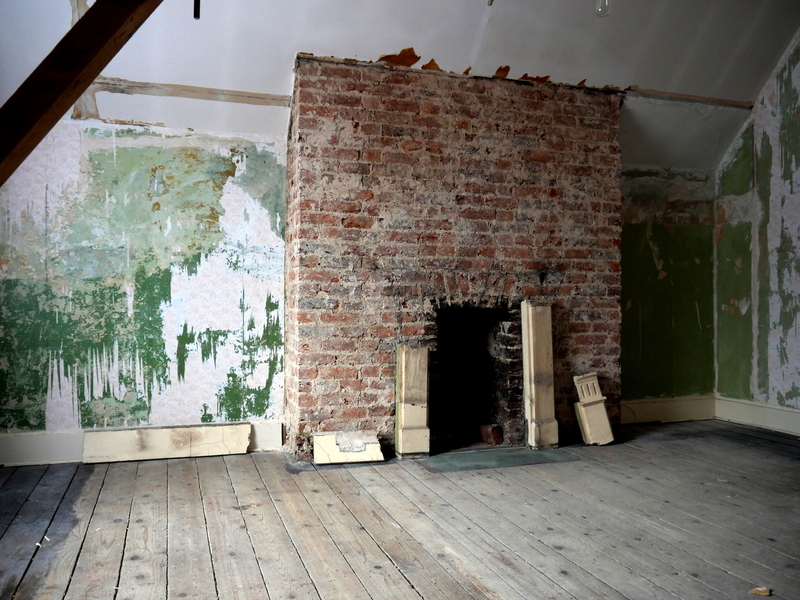 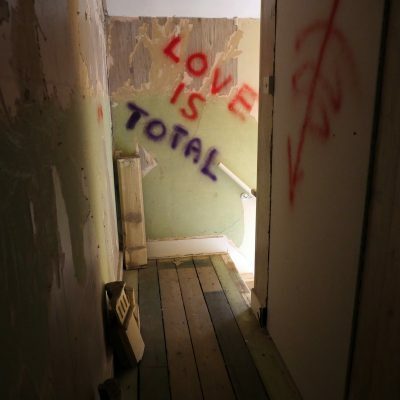 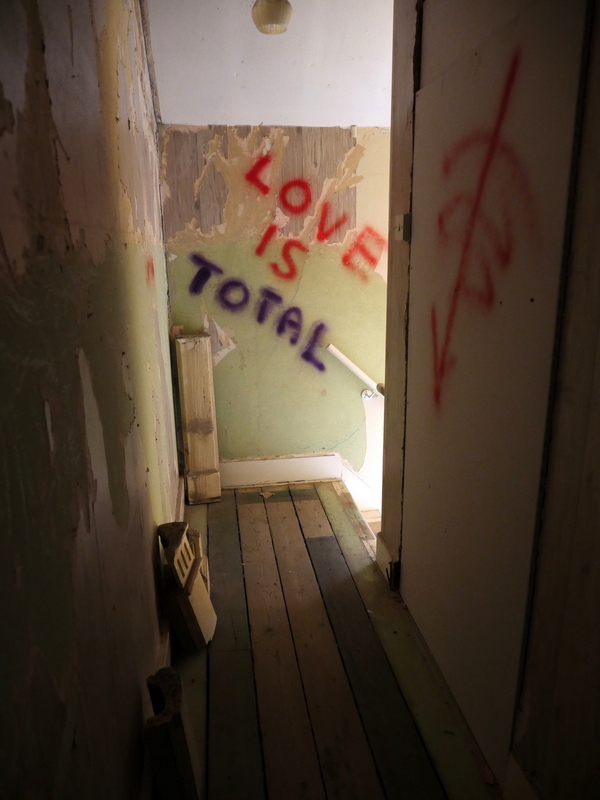 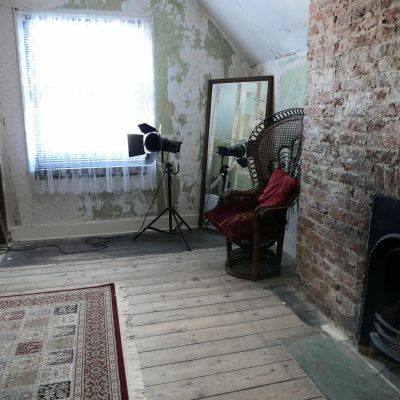 3rd-floor stairs leading to derelict room – peeling wall paper, bare floorboards, red brick wall, fireplace. 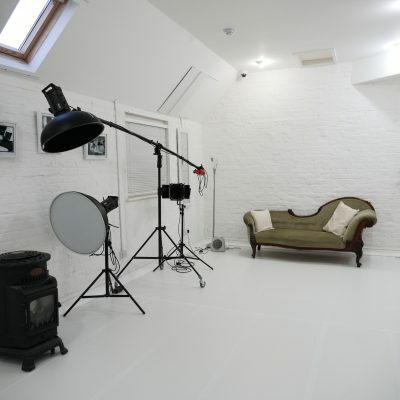 Full lighting set up and natural light. 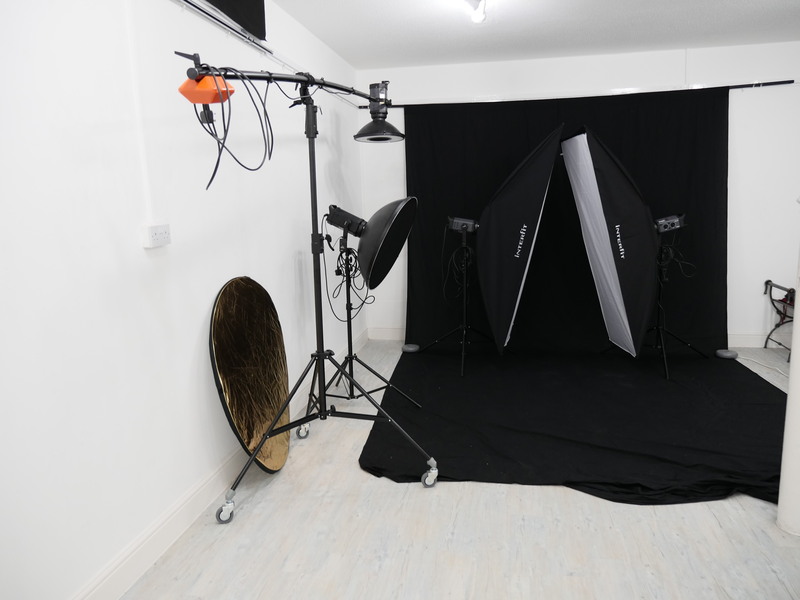 The studios are available on a half day or full day basis only – you get to use all equipment and all studios! 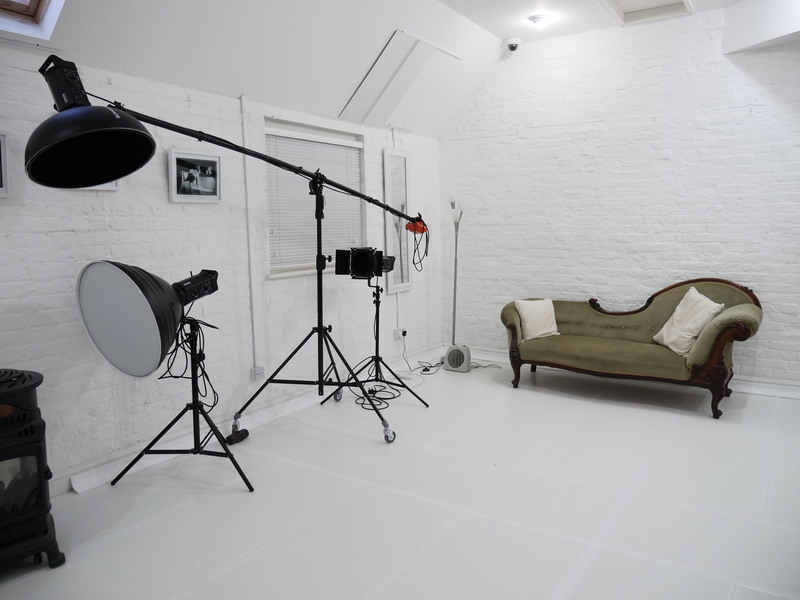 Current rates – Half day (4 hours) – £80.00 or 8 hours – £150.00.